I want to thank Shelli Sonstein from Q104.3 for bringing up Barasch & McGarry. I'm a Multiple Myeloma patient. On that horrible day I walked through the toxic cloud to get back to Brooklyn. I returned later in the week to donate dry clothes to the first responders. My doctor mentioned the WTC Health Program when I was diagnosed. I never thought about it until I kept hearing Shelli's ad. I'm now registered and waiting to be certified. I've been in complete remission for almost 6 years. Thank you. I would like to express my heartfelt gratitude to you and your staff for all of your legal expertise, guidance and sincere support during this entire process. I am so grateful for the VCF award payment I received for the WTC-related illnesses. I can't thank you enough for your hard work to ensure the best possible outcome on my behalf. I'd like to remind you of how I learned about you and the great work you were doing for victims of 9/11. It was through a friend of mine who I hadn't seen for a while. I met him by chance in the waiting room at Memorial Sloan Kettering. What are the odds! We were both undergoing treatment under the care of the same physician! We spoke for quite a while. He shared his story with me regarding his 9/11 experience. Knowing my story, he strongly urged me to contact you. He provided your name and phone number on a small piece of paper, which I still have! He described the exceptional work you had done for him. I feel God works in mysterious ways and things happen for a reason. This is simply a perfect example of those feelings. I will highly recommend your law firm to anyone I know that needs legal help. Keep up the exceptional work in aiding others affected by 9/11. Once again, thank you. You can trust these people. They did not forget. This firm, this staff worked tirelessly on my case.. kept me updated, was polite, professional and courteous. This firm will go the extra mile for you. If you were hurt during 09-11-2001 WTC attacks then I advise you to seek out and use this firm... you won’t be sorry. Michael's firm has represented much of the FDNY from long before 9/11 and has been at the center of obtaining assistance for those who serve from both Congress and the States since the very beginning of the incident. He was my lawyer for over a decade and no solicitor has done more for the cause than him! We cannot speak more highly of a firm to represent any of us who have sacrificed so much than his! We would know better than most who the good guys are and as far as we are concerned you walk on water! I just wanted to thank James Steiner again for all your assistance with my case. I wish I could put into words how grateful I am to you and the law firm for your work on behalf of the first responders and others injured from 9/11. I am proud of my time of service to the NYPD and the citizens of New York and you should know that I carried a burden of how I would be able to care for my family should things get worse. The award has helped take some of that away, and I truly do thank you for that. I hope someday to meet you in person but until then know you and family are in my prayers. Be safe! Mr. Barasch, I am a retired FDNY fireman and I would like to take a minute of your time to just say thank you to you and your firm for helping me receive a settlement from the VCF. I know your firm has a great relationship with FDNY and you have also done a lot of work with the Zadroga act and for that I thank you. I would also like to let you know that Natalia was very helpful throughout the entire process. As busy as she is, any time I had a question or needed help filling out any of the paperwork if she wasn't able to answer my call I'd leave a message and she would get back to me a short time later. She was a pleasure to work with. In closing I'd just like to say keep up the good work and hopefully we can extend the Zadroga Act so that the fund is available to those that will become sick in the future. Thank You!!!!!! Michael and staff have helped me and my family in ways that are truly immeasurable. Thanks Michael! Michael Barasch thank you for everything you did for me, your staff is always available and always answered every question I had! Thank you Michael Barasch for everything you do. It means a great deal. Michael, you and your group are wonderful and help me navigate through my process, being my brain when I needed help. Doug was my contact in the last few years and his patience and kindness and of course expertise was so greatly appreciated. I can't say enough kind words about you all. Michael Barasch thank you for all you do because we need voices like yours to help our community. Keep fighting the hard fight, we can never give up. Thanks again! Dear Mr. Barasch, I know your name is on the door and you are running a very professional firm, and I thank you for that. I have a special Thank You going out to Mr. Javier Ramos. He was my case advisor and he did a magnificent job. Courteous, knowledgeable and efficient are a few words to describe his work ethics. My 911 case has closed, for now, and I have received a payment that will greatly help me and my family in the future. I appreciate the advice enclosed in your letter and rest assured I will be taking it seriously. You are a Five Star firm. Thank all of you at Barasch McGarry and have a Merry Christmas and Happy New Year. I had started the VCF process, but it was lengthy and I wasn't sure if I had done everything I was supposed to. Communication was not easy with the administrators of the VCF. A friend who had used Barasch & McGarry told me to contact them. Best decision I have ever made. Everyone was friendly and easy to work with, and they kept me informed of the progress. I have since referred others to the firm. They are truly the best. I cannot thank them enough. Thank you for caring about all first responders and our families. Your firm has assured us that we will never be forgotten and I applaud you for the dedication and compassion. There are no words to thank this law firm and there entire staff for all the support they gave me. Also I became ill about year after being in the exposure zone 8 months, they saw to it that I would be compensated. I had no choice, I had to stop working way before my time. God bless this law firm. I will be going on Yelp mentioning names of specific people that personally worked with me. They put their heart and soul into there jobs. I am very happy with the level of service I received. At times I felt like just giving up, not signing all the papers, and it felt like nothing would ever materialize. But due to the dedicated work by the team of lawyers, and their perseverance, I received my award today. THANK YOU. Michael Barasch and his team are complete professionals handling their clients with care and kindness. I have been working with his firm for the past 3 months as my father has fallen ill with cancer as a result of his involvement with the rescue and recovery efforts at the WTC. Sadly, his situation is dire and Michael has helped us to expedite his claim to provide some financial relief during this difficult time. We are so grateful for the support he has shown our family. I'm thankful I switched to your firm and can't put into words the respect I have for you, Lee, and your entire firm. You have a bunch of extremely competent folks working for you! Dear Michael and Richard, I am so very grateful that I met both of you! You held my hand and supported me and told me you would take care of me – and wow, you did. This money will really help my family – my son Gareth, his wife Lisa, and my two grandchildren Adeline, who is 5 (in a month), and little Marcus who is 2.75! I can help them get a better start in life and the funds will help cushion retirement someday… Blessings to you both. It was very difficult for me to decide which law firm to go with. Everyone had an opinion, but no one had the answer. The decision was one that only I could make. And, today, almost two years later, choosing barasch & mcgarry to represent me in 911, was one of the best decisions I could have made. In our lives, if we are lucky, we will meet all kinds of people. And, although we appreciate each of them for different reasons, there are some we will come to cherish so much more. Lee you are one of those rare and compassionate people, who went out of your way to give me more than I could ever hope to receive. Filling out applications, forms and making phone calls, etc... were not easy for me to do. Oftentimes, I encountered moments of sadness, fear and frustration. I wanted to take back my application. but, you, and the barasch & mcgarry law firm, got me through this paper maze. I would always recommend your firm. I feel so honored to be included and not only included but I feel that I am treated like family when it comes to you, Mr. Michael Barasch, and the firm. I want you to know that I also consider both you and the firm as part of my family. You guys worked tirelessly to help me try and put my life back together. I never experienced a law firm or for that matter any type of professional business that is supposed to represent you and look out for your best interest. You and the firm have been there for me and also continue to Reach Out for to me in not only a professional way, you continuously make me feel like family. It's difficult to put into words the magnitude of how much respect, love and gratitude I have for all of you. God bless you all. may all of the victims that died, may they Rest In Peace. Thank you very much Michael for assisting me through is time. My compliments to you, Laura, Jacob and your entire staff for being the professionals that you are. Stay safe. Mr. Barasch, I want to thank for the constant giving that you do for the 9/11 Community. I really wanted to also thank you for not being such an excellent attorney that you are but the tremendous kind, caring compassionate individual that you are. Mr Barasch, may God bless you and your family always love and respect. Hi Mike, Thank you. Happy Father's Day to you. You really are doing God's work. Thank you a million times. Keep up the incredible work and God Bless your and your firm. Hi Mike, always nice to hear from you. It's sad when any of the first responders or anyone affected by the tragedy don't make it. I appreciate your emails/texts and wish all a Happy Father's Day. God bless you and your firm! You are doing God's work for FDNY! Thank you for sharing this important video. It was very moving. Thank you for all that you do for us. Mike thank you for the well wishes, it means a lot to me that you and all your staff are on my side and have my back. Thank you. Happy Father's Day to you Mr. Barasch I hope someday to meet you I heard you are a gentleman and a scholar. God bless you and your family. I am so impressed with the work of this firm and the way they acted like a team to bring together my settlement award at a time in my life that I so needed it. Thank you all from the bottom of my heart. This Law office is professional, and they treat their clients as friends as well as employer, I believe by their actions they only want what’s best for client. I highly recommend them. Mr. Barasch was warm friendly and knowledgeable -- he explained everything in laymen’s terms. Brien Calamaras also has same demeanor and is always on top of things! Thank You for your service! Mike great job. You are a great man. And very professional staff. Without you this all couldn’t be possible.. thanks for help. And care. Great news! Thank you for all the hard work you and your firm have done for my family and all the other people that you helped, thanks for keeping me posted. Thanks for the hard work you and your associate are doing for us. Have a happy Easter you and your staff. Thank You Michael Barasch I Highly Appreciate You And Your Firm Keeping Me Updated And And Well Informed On The Proceedings Of This Case. Your firm has always been their for me And my family thank you. Thank you to Barasch & McGarry for offering their services to help my husband and I create a FREE will to ensure our family is taken care. Peace of mind is priceless but thank you for offering this at no charge. We highly recommend this firm, Barasch & McGarry-NYC to anyone for all services even if you live upstate NY or out in Long Island. Excellent firm with lawyers you can count on and staff that are phenomenal. To all of the fellow WTC uniform and civilian heroes. I urge you sign with this lawfirm. They are the very professional and they looked into all of my needs and questions. Thank you Michael and your whole staff to getting me to the Finish line it was long and stressful at times but Michael Barasch is a gentleman your personal touch was so very much Appreciated !!! This Law office is professional, and they treat their clients as friends as well as employer, I believe by their actions they only want what’s best for client. I highly recommend them Mr Barasch was warm friendly and knowledge explained in laymen’s terms, Brien Calameri also same demeanor and always on top of things ! Thank You for your service! My experience so far with Attorney Lee London and Case Manger Nolan Howard, as well as the rest of the staff at Barasch & McGarry has been nothing short of delightful and heartwarming. As a widow of a 9/11 first responder seeking advice and direction with the WTC, there was never a time in which I felt alone or misguided during such a trying time. I can remember when Michael Barasch, one of the partners of the law firm, personally called me from his home on a non business day to extend himself while my husband was in the hospital. Barasch & McGarry is not just your average law firm. The staff goes above and beyond to make sure you have the proper paper work and everything is recorded in the system. They are attentive and organized and truly care about the people they take on. You may walk in a client, but you come out family. Barasch & McGarry has been a wonderful Law Firm.When I lost my husband due to 9/11 cancer they help me get his pension and my health insurance back which was vital to my family.They have always been in my corner from the first day we spoke. Mr Barasch and his team have always treated myself and my family with kindness, respect and compassion. This firm still fight alongside us with the Victim's Comprehension Fund and every victim and their family impacted by 9/11. Wonderful people. They did a great job securing my 911 cancer award! Great group and they truly care. I get text messages, email and letters updating me about everything. Everyone was very professional. You helped walk us through the process. Thank you so much for all your help. 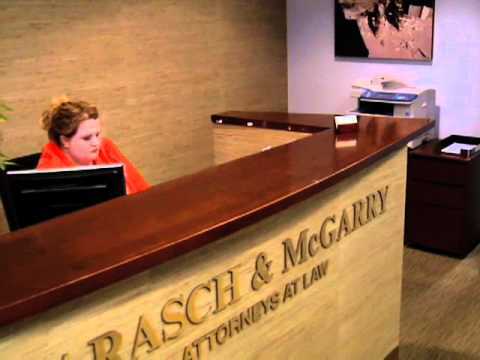 Barasch & McGarry have been a great 9-11 attorney. They have helped me to apply for the 9-11 VCF, answered any and all questions, and they are now going to be representing me in the future. Thanks everyone! I’ve given your number to a few people. Told them to ask for James Steiner. He was great. I am a client at your Law firm and I usually don't write letters, however I would like to write a letter of recognition on behalf of Mr. Brian Calamaras. I want to say that is a pleasure dealing with him. Mr. Brian Calamaras is extremely professional, kind, polite and patient with all my WTC 911 issues and concerns. Every time I call him with a question he is so efficient and knows the answers about my case without even looking at my file. So often people complain about things and I felt the need to write something good. I am so happy to have your law firm representing me. I will always recommended your law firm because of great staff members such as Mr. Brian Calamaras. I could not thank Mariya Atanasova enough, nor would I want anyone else to represent me. I wish to express my gratitude for all the work that you and your staff have done in obtaining my VCF Award. I appreciate all your efforts in being the point person and advocate to the government on behalf of all of us who suffer from 9/11 illnesses. During this Thanksgiving Holiday my family and I are truly thankful for you and your office staff. I particularly want to acknowledge Laura Pena who has been very helpful, patient and kind every time I contacted her. Happy Thanksgiving to you and your family and to the staff at your firm. If I could give them six stars I would...don't even bother talking to anyone else concerning 9/11. The whole team worked night and day to deliver an outstanding settlement. They are honest, hard working and extremely professional. Just make the one phone call and let them do the rest. The law firm of Barasch & McGarry are professional and compassionate in regards to any and all legal matters. I am grateful for their efforts on behalf of the entire 911 community. I would like to recommend Barasch & McGarry to all who need assistance with their WTC claims. I have been working with Barasch & McGarry for several years and have had a very positive experience with this firm. They assigned a very competent para legal, Mr Jacob Pena.who has been very professional, extremely thorough, and patient. His help and advice made a difficult process much easier. I highly recommend this firm. This law firm processed my case quickly and efficiently. Questions were answered quickly and knowledgeably by Francesca Oliva I received a settlement in 2016, and they appealed the compensation amount. Soon after, I received almost double the original amount. I would like to thank Mr Barasch and especially Lee London for the help they have provided obtaining compensation from VCF. Thru the process, Lee London was compassionate, knowledgeable and consummate professional. He handled my account. He was instrumental in my getting top compensation amount for my condition. I do not think, that would be possible without Lee and Mr. Barasch. We are very happy with the results. I would highly recommend this law firm to anybody looking for experienced and effective representation in this matter. Barasch & McGarry have been of great help to me. I could not have navigated and gone through the successful process of compensation for my illnesses without the firm, and the devoted help of Rich Alles, Lee London, and Rebecca Foreman. I am so grateful for their compassion, constant work on my behalf, and their effectiveness. I am more grateful than words can say. They are excellent and also so caring. I had a very good experience with Michael and Mariya. They made the process stress free. I would recommend this firm to anyone seeking assistance with 9/11 related illnesses. My husband and I were very pleased with the outcome. He received as much assistance as needed to understand every single document and the progress of his case. Everybody we had work with was highly professional, motivated, friendly , supportive and always available to us. Great Company, Great Staff, Great Results. THANKS! I received a very fair compensation award as a result to the extension of the Zadroga Act. This law firm was at the forefront in seeing this extension was passed by Congress. They fought for the people that got sick as a result of the attacks on 9/11 and won. Barasch & McGarry is a wonderful lawfirm who handled my case with compassion and professionalism. My attorney, Mariya Atanasova a great attorney, walked me through the entire process so I new what to expect as the process moved forward. Dealing with any government agency can be trying but with Mariya's assistance I was able to get through everything without having to resubmit forms a second or third time. Mariya told me it usually takes one year from initial appointment to certification, well in my case it took 11 months. Can't ask for more than that. I highly recommend Barasch & McGarry. I first have to express my continued sorrow and prayers to all Police, Fire Dept., Sanitation Workers, EMS and civilians who gave the greatest sacrifice as a result of the attack on 9/11 . And for those that have since passed or are dealing with life threatening and other serious illnesses. Some illnesses, which are still not covered or diagnosed to this present date. To the members of this firm, I cannot express my gratitude enough to the entire firm for helping me get all my medical records together. And to be able to present a complete case for all my injuries and permanent disabilities sustained as a result of responding to the 9/11 Terrorist attack and the assignment in Staten Island for the recovery of evidence as a Detective in the NYCPD. I have to mention Mr. Nolan Howard who for years answered my questions and compiled hundreds of Doctors notes and medical records. Also to Mr. Lee London who helped finalize my case. May God Bless those who are not with us, and to all struggling with their own injuries. Never Forget, and pray for the people who passed, their families, those still dealing with it, and our Men and Women who keep our Cities, States and Country Safe . I am writing this review to let anyone out there who is in need of a Great lawyer and excellent legal advice know that they need look no further than the law firm of Barasch and McGarry. Also out of sincere gratitude for the excellent and professional job that they did for me. After dealing with numerous lawyers and getting some bad legal advice the law firm of Barasch and Mcgarry helped me to finally rectify and successfully finalize a very stressful and costly pending legal matter. I can honestly say that they have the best attorneys I've worked with, they truly care about their clients and they gave me extremely valuable legal counsel that I received nowhere else. Everyone was extremely friendly. They were a pleasure to work with and they answered all my phone calls and emails right away, every time. I'd also like to give an extra acknowledgment to Mr. Bruce Kaye who really went above and beyond and worked extremely hard for me everyday. He gained a friend in the process and I am forever grateful. Thankyou! The people at this firm were just great. They were concern with making sure I was taken care of in every way possible. When I was given an award Mr. Barasch didn't think it was a fair amount and appealed the decision which got me a larger award. I am very satisfied with everything they did for me in the past and are willing to do for me and my family in the future. I wish to thank the team of Barasch & McGarry for their commitment and dedication with regards to the Victims Compensation Fund. Since filing with the VCF in October 2013, I have been kept up to date with the status of my claim and specifically the process. The team of Barasch & McGarry was diligent in keeping all of us informed of the status of our claims and provided direction when additional information was required with regards to my claim. It has been a long process. Thankfully I had Barasch & McGarry representing me. I think of how over the years so many first responders have suffered and have paid the ultimate sacrifice. God Bless everyone affected by this tragic event, both living and deceased. Its is comforting to know that Barasch & McGarry was there for us. I would like to thank all the attorneys I have come in contact with since October 2013 and especially Mariya Atanasova and James Steiner. My husband is a 911 first responder who suffers from chronic health conditions due to his exposure to toxic chemicals from the fallout at the World Trade Center site. Barasch & McGarry not only took care of the legal aspects of my husband's case, they also made sure that we were comfortable in the process and took next steps to protect ourselves and our family in the future. Michael Barasch drafted our will, advised us on insurance coverage and treated us as if we were his own family. His care, kindness, expertise and attention to detail is second to none. His team is outstanding and were wonderful to work with. We couldn't have asked for a better law firm to handle our case. Excellent law firm. Lee London and his staff were very responsive and always followed up with phone calls or emails. This firm is a strong example of what caring and personable lawyers are all about. I was very pleased with the concern and the personal approach Michael and his team gave me while handling my case. –T.L. I have been honored to the represnted by this firm . They are quick in returning your calls and answering your questions and stand behind you and you family every step of the way .Thank You All And God Bless You For What You Do. –J.C. A Top Firm for 9/11 Responders and has been for over a decade. I recommend them without hesitation. Barasch & McGarry handled everything professionally and with patience. They always had time to answer all my questions and did what they promised. Thanks esp to Brian Calamaris Lee London, and Mariya Atanasova. Thank you. I have to say i was very upset yesterday and it lead me to write a very unpleasant review about Barash McGarry Salzman & Pension. Needless to say i received a personal phone call from Mr Michael Barash himself first thing this morning. Now of course one would think it was all about and due to the review i wrote but i would like to state that i don't agree with that totally and reason being is a few years back i was again a bit upset with a situation and i did not write a review and Mr Barash heard about it with in his office and called me directly at that time also. He took his time with me on the phone and addressed all my questions and concerns and made things a bit more clear and understanding to me. He also did tell me that if i ever had a problem to contact him directly and he would return my call as soon as he could but to be patient due to his other scheduled meetings, calls, appointments etc....this time around i failed to follow his advice on contacting him and i quickly jumped to writing a review. On our call this morning i explained my reasoning for being upset and my concerns and again he was honest, upfront, and we discussed and explored different options that can or will work for me hopefully. Sometimes we get upset because we are not told what we want to hear but in the same respect just be honest and let us know and thats what Mr Barash did this morning. I now know what, and when not to expect or to expect certain things but at least i now know. I wish i would of known sooner so i could of structured my life and way of living a bit different but at least i now know and he his willing to get involved in helping me find a way to get through until my award is settled. My apologies to Mr Barash for not giving him the opportunity to speak with me before writing my last review. What you are doing to help the brave men and women that got cancer from helping is amazing. May god bless you. I got not what i thought for my respatorial biesese and now i got sertified for sinuesites and someone in the the ferm said that i might not get nothing do to the amout i reciever for my breathing dissorder ..put a price on your air quality. You cant one dessease has nothing to do with the other so ether get my compensation for my next certifacation ofr your compatishion will. As an attorney in practice for 40 years I have met many personal injury attorneys. I refer matters only to Barasch & McGarry because of their expertise and personal commitment to clients. They are excellent lawyers with a record of obtaining great awards either through trial or settlement. They are also very creative. Michael Barasch helped develop the Victims Compensation Fund for 9/11 responders and represents numerous NYC firefighters. The firm treats its clients as valued friends and takes a personal interest in their clients. I highly recommend Barasch & McGarry. After 16 years, the pain in my heart is forever present. There is never a time that I see the NYC skyline and don't say,"There should be two!" I held it together, for the most part, until I received your email. When I read "with sincere respect...", that's when I lost it! No one has ever said that to me before. I keep most of my torment Inside. I am getting treatment from the WTC Health Program and I have a psychiatrist and a therapist. You have no idea the amount of respect I hold in my spirit for Barasch & McGarry. Thank you and please continue to fight the good fight! Mr. Barasch, I am currently working with lee London and Nolan Howard in your office. This may be a good time to let you know how fortunate you are and how proud you should be to have these two individuals in your organization. The knowledge, professionalism and quality of work these men exemplify is extraordinary. I feel privileged to know and work with them. I wanted to take this time to thank you and your entire staff for making process as uncomplicated as possible. From the moment I entered your office I felt everybody on your staff was personally interested in my case. From the receptionist to your lawyers. It's a scary day when you hear the words " you have cancer ". Being a first responder on September 11, 2001 at the WTC is something I am very proud of, and if called upon again I would do my duty. As a retired member of the NYPD, being part of such a large organization can be very difficult. Your firm made it very easy to negotiate the bureaucracy. matter how small or large of a situation I had to deal with. This is why your law firm is the best friend a first responder can have when they hear the dreaded words " if you have cancer". All I can say is thank you ! Thank you for all you have done for me. Please allow me one final thought ; if any of my brother or sister first responder are reading this letter , this is the law firm you want to represent you. Your guidance and support throughout this crucial time of my life was greatly appreciated. I am overwhelmed with gratitude to you and your entire team at Barasch & McGarry. This type of outcome could not have been achieved without your invaluable knowledge, support, and guidance from start to finish. You and your team have given me and my family a much brighter future. We consider your law firm part of our family now. I can not Thank You enough for all that you have done for me. I will never forget what you have done for me and my family, and will not hesitate to recommend anyone else that I know to your Firm. I just wanted to take a moment and thank both of you for all you have done on my case. I understand it was and is a team effort so I ask you please extend my gratitude to your colleagues as well. Though the case has come to resolution and some may consider it a positive I cannot share that view. This award represents compensation for current or projected loss of health or life span, no dollar amount can replace either of these as we know. I am fortunate and grateful for all your firm has done in the aspect of what this means for my children. We all want better for our kids than what we were afforded. This award will give me piece of mind that along with life insurances and other planning if something is to happen to me they will not have the same financial constraints I had growing up. They will be without financial burden to explore their way of making a positive mark on this world. This gives me great piece of mind and for that I will be eternally grateful to all of you. My hope is for a long and healthy life for me, my loved ones and all of you. Thank you for your professionalism, dedication, compassion but most of all your determination to help all of us. Respectfully. I'm writing to tell you how impressed I was with Ms. Rebecca Foreman, Esq. As a former PAPD NY/NJ, WTC / 9-11 Responder & Afghanistan, Combat Veteran - I have seen more than my share of Death & Horror. in dealing with a large variance of: PAPD, VA, Social Security, WTC Health Org. and CDC personnel to include: doctors; numerous appointments; hospitals; law firms; (no offense intended), pension boards; paperwork; etc. Yet - Mr. Barasch - after all that, it is a "breath of fresh air" to speak to a professional, kind, empathetic, learned voice, (on the other side of the phone) as I found in Ms. Rebecca Foreman, Esq. Having worked in all Port Authority of NY / NJ Command Facilities' and having had numerous interactions with the public (good to bad to deadly) - after 22.5 years of being a Cop,' I have a fairly good / innate sense of people. Ms. Foremen in my opinion is a Great Credit to your Business, sir and because of her (and her alone) - I will be filing a Retainer with your Firm and advising other PAPD Officers.' that I know to do the same, regarding the pending - 9-11 / Saudi Arabia Lawsuit. I want to thank the Barasch & McGarry Law Firm for taking on the difficult and challenging task of fighting for compensation for the many 9/11 First Responders who became sick as a result of their rescue efforts. I appreciate the caring and high level of professionalism demonstrated by your law firm throughout the litigation process. I want to especially thank Attorney Lee London and Case Worker Brian Calamaras. Lee and Brian kept me informed regarding the progress of my case, and made themselves available to answer my questions and concerns. Because of your firms diligence and hard work, my case was successfully resolved. My family and I are forever grateful. Hello, my name is M.F., a 911 Victim Compensation Fund client whom you represented. I want to thank you and your entire law firm including all that assisted me in getting my settlement. Your firm always answered questions and concerns that I had in a very timely, courteous and professional manner. I am so thankful to all! I can only hope & pray that all other victims stay healthy! Tx for all you do the best keep fighting. I, again, want to thank you so much for your assistance and guidance. I heart fully agree with your stance and wish for a sensible outcome. Prayers go out to you and for Officer Santiago. Thank You for Always caring Mr. Barasch. You have helped me So Much as my family is financially secure if i pass. That is The #1 Job for any father/husband. Thank you and all of the lawyers and staff that have helped us along this journey. The financial award I have received will give us the financial security we need to get our life back on track. All of the people I have worked with over the years have been very helpful and professional. Thank you for the service you provided and for providing it with compassion and experience. Because he's a honest person !!! I am very happy he did . I watched it on tv this morning !!!! I support mr barasch !!!!!! Your firm is a blessing to all who you represented, including my family ! This is a time for all who responded to the call to fight for their lives and should not have to fight the people who they trusted in to help them, I'm thankful for your firm .. my hat off to mr barasch and mr lee London and your firm..... thank you. Hi Michael, What a terrible world we live in when victims on preyed upon time and again. Sounds like the early Reverse Mortgage game , in which people lost tens of thousands in fees and eventually lost their houses. I do not know if the government cracked down on regulations of these mortgages. Officer Santiago has a great lawyer covering his back. The main reason I chose you to represent me win or lose, I know you will always have my best interests at heart because you have principles. I do not trust many lawyers you are the exception. I hope you nail this company. Saw the video of you on the news, great job MR MIKE BARASCH, thanks 4 looking out 4 ALL 9/11 victims, u r truly a great American, I will pass this info along & not hesitate 2 recommend your firm 2 others, thanks again! Way to go. Let those who prey off first responders wantonly for their own selfish greed face justice as deserved. Attorney Michael Barasch is to be commended for his professional conduct on behalf of this NYC retiree. He is also the type of person to be recognized by our National 10-13 organization as an honorary member. Thank you for sharing this and defending us, the victims of all of this. I am going to share with the world so everyone can see the evil that exists out there. Thanks. You're one of the good guys….. I read the email you sent. It's nice to see that some people still have a heart and a conscience and are willing to stand up for others. I have always been impressed with the way you conduct yourself and your business. In a world where I don't expect much from anyone, I'm not surprised you took a stand to defend someone who is being taken advantage of in such a despicable fashion. I wish you the best of luck. Luck or no luck, you'll still knock their socks off. Dear Mr. Barasch ~ After reading your article on behalf of Mr. Santiago, I really have to commend you and your firm for having the tenacity to standup to these predatory thugs and thieves who call themselves lending institutions. Very sad!!! Mike, I knew when we first met in your office, just based on your concerns about my situation, that you were a genuine person; my hat truly goes off to you!!! You're a gentlemen and scholar!! Thank you for everything that you've done and continue to do for the 9/11 victims that you represent. Bravo. You never regret doing the right thing. Wow. So impressed. So in awe of you. So proud to be your client. F-ck those greedy bastards. I enjoyed reading your article about Feeling Good it and, as ever, I am so proud of you and the work that you do...and proud that I could be a part of it. Keep fighting the fight Michael! You're on the right side of history here and we are all standing behind you! Thank you for looking out for the Brothers , Mike. Congratulations On your willingness to advocate and defend the disenfranchised, the downtrodden, the exploited and the injured. Thank you! You guys did a very good thing. Congrats. It's always comforting to know I'm in good hands. On a different topic, with a new administration in D.C. do you believe this will impact claims going forward. Thank you for looking out for this officer and his family. Great job Michael. Stick it to them. They should be ashamed of themselves 67 percent. That's a disgrace.I am proud to have as my ATTRONEY and may God Bless You and all the lawyers who are our 911 attorneys. It is truly an outrageous situation. You are doing the right thing legally and morally. If I can be of assistance, please let me know. Thank you for all you do Barasch & McGarry. Don't know where we would be without your help. Great story, and keep up the great work! Thank You! Great article, glad you are representing me! I must say your Law Firm has always held the clients as your main priority. In all the years I have Never ! Had one complaint. From the phone operators to the attorneys and the assistants you have done a wonderful job for your many clients. That’s some story and another great job from you. keep up the good work Brother. Michael, I love you, your firm and your work. If you need me as a witness to speak up for the good work of your firm I am more than happy to do so in a courtroom setting. I don't like to be in the public eye but in your defense I will be happy to take any witness stand and testify. Outrageous interest rate. Thank you B&M for doing this. Mike, thank you for continuing to look out for the first responder's. Thanks Michael for sharing this important article. Will share with others. So glad to hear you are representing officer Santiago. You and your firm are the best. Warm hugs. Yes. I saw it. Keep up the good work! Read your letter and really appreciate your stance. Ok thank you for the heads up please keep me posted on outcome. Hu-Rah. Take it to them SOB's. Thank you Mr Barasch for all. Thank you michael barasch for always sticking up for fdny and nypd members. Thanks for the information Mike. Sad that this victim has gone through this. I'll hold on to this email and pass it along to other responders. Hi --I just had read the story of Elmer Santiago. God is with you Mike Barasch and all of your group. 10-4. I read the case on my email. 1- Thanks for keeping in touch 2- do I really know the law ? I do not. However, I do know that when I need to protect myself, I need to hire an expert. Otherwise, I will be taken advantage of. However, I do know how to find a lawyer. The first question I ask is , here are the merits of my case and secondly, do you have time for me. You said "yes" to both. We became a team. I also know how to "Read a Face". You have a good one . Thanks. Thanks for standing up for us and doing the right thing. Money often blurs people's perspectives and we need people like you to make them see straight! Keep up the good fight. After reading your article on behalf of Mr. Santiago, I really have to commend you and your firm for having the tenacity to standup to these predatory thugs and thieves who call themselves lending institutions. Very sad!!! Mike, I knew when we first met in your office, just based on you concerns about my situation, that you were a genuine person. ; my hat truly goes off to you!!! You're a gentlemen and scholar!! Thank you for everything that you've done and continue to do for the 9/11 victims that you represent. Michael, just read your e-mail & once again you demonstrate what it means to step-up. You truly stand behind your firm's motto, 'You watch our back. We watch your back.' All the best to you. Wow, amazing to see how underhanded that deal is at 67% interest. Good to see there are good people standing behind us. Thanks Mike! I read the email these vultures have to be held accountable. Thanks for looking out. I am proud that your firm is representing me and countless others. Thank you for your great work. That is awesome, I wish the family well. Dear Barasch and McGarry Firm, Lawyers, more than any other occupation, get a bum rap (except for maybe Police Officers). It was an uplifting story you sent, regarding the situation concerning P.O. Elmer Santiago and the predatory lending company. It's comforting to know that you are watching out for those clients whom you represent. Hi Michael, I would like to thank you on behalf of the 9/11 Vitcim for going up against RD Legal on our behalf seeking our justice our prayers are with you as you go forward to for us. Your law firm is the best ever seen , heard, or know of. Thank You. I read the article. You guys do a great job. Thank you Michael. Mike, even though sometimes you break balls, you always do the right thing! You're a good man Charlie Brown! I want to take a moment to thank you. I sincerely appreciate all you have done for me in the very difficult times. I very much appreciate everything and thank you sincerely. Please enjoy the holidays, and have a great new year. Thank you Mike. All the best wishes to you, your family and loved ones and all the members of your firm. I'm glad you represent me and I'm very pleased with the great work your entire staff does on my behalf and my fellow Fire Officers. Happy Holidays and a very Happy, Healthy New Year 2017 to all. I had a wonderful experience using Barasch & McGarry regarding the Zadroga Act. They were competent and kept me well informed at all times. It was especially a pleasure working with Mariya Atanasova. I highly recommend this firm. First off, Thanks sooooo much for representing and being concerned with everyone that suffered during this horrendous act of terrorism. I really appreciate the professional service your firm provided me in guidance to filing a claim. Again, Thank You soooo much for your service. I would like to thank the Barasch & McGarry law firm along with all their employees for handling My 911 VCF Claim in a very professional and timely matter. All of my questions were always answered in a timely and accurate manner. Unfortunately I believe my health is still being adversely affected by my post 911 exposure but I am happy and completely confident that Mr. Barasch, his partners and staff will be there to handle any related legal matters. I highly endorse this outstanding Law Firm. I am a retired FDNY Lieutenant, who was injured on 9/11, and have subsequently developed some health problems from that terrible day. Your lawyers, case managers, and legal assistants have been there for me and my family from the very beginning. Mr. Barasch shook my hand more than 10 years ago, and I knew that he would ,( as we say in the job) do the right thing. Thank you Michael, and thanks to all who handled my case at least one time or another, Nicole Rang , Jacob Pena, and your vast army of legal assistants who patiently answered all my questions, and helped me through some tough times. I want to personally thank you and your whole law firm collectively for the unwavering devotion and professionalism to not only me, but the entire fire dept. family. The compassion and deep concerns I experienced by each and every one of your staff can not measure my sincere appreciation. It rivals the dedication we have of honor and duty. When I first started showing symptoms of 9/11 injuries, such as corrosive Gerd, bronchial spasm's, sleep apnea, and unfortunately being diagnosed with Barrett's esophagus, I was scared my career as a fireman would be ending. As well as scared of dying from esophageal cancer (God forbid) I was just promoted to the rank of Lt and had a very short time out in the field. I had a lot of problems breathing on the fire floor. Fireman will always put their lives on the line to save anyone they can. But they never think of saving themselves. That was me. Until I was told by a few firemen buddies of mine; you need to get checked out. I did just that. And to my horror, I had a lot of issues to deal with and decisions that needed to be made in the best interest of me and the department. I met Mike Barasch and Ed Markowitz in the fall of 2013. They honestly and empathetically felt my pain not only for me, but my career. Mike has extended his kindness to my family as well. I was on light duty for 2 1/2 yrs. It was rough. But Mike and his law firm had my back all the way, just as if we were going down the hallway together at 4am. I trusted in him. I can breathe a sigh of relief knowing he had the concern of my future and that of my family. Thanks to his law firms work, he took an economic burden from me and it's a load off my mind today. To my brothers and sisters still on the job, if you know you're not well, get checked out. Be safe. Thanks again Mike. I would like to thank the law firm of Barasch & McGarry and the entire staff. I was referred to them by a friend and from first contact I was treated with respect be every person at the firm. I was kept informed of the status of the process and received excellent professional advice. In the end, the outcome was very favorable and the time frame was a fast as possible. I know the entire team at the Barasch & McGarry Law Firm contributed to a positive outcome but I would like to extend special thanks to Maria Atanasova - the attorney assigned to me, for her efforts. There was never a call, inquiry or e mail to Maria that was not answered in a timely manner and with accurate information. 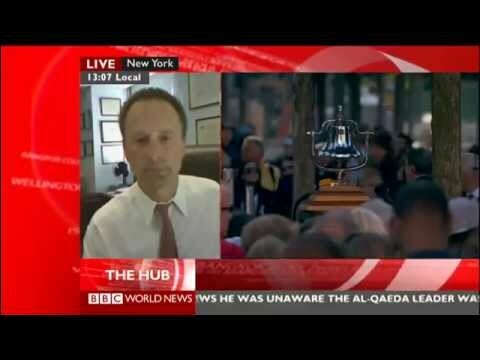 I know that Michael Barasch works tirelessly as an advocate of all who worked at WTC. His efforts to influence Congress to do the right thing and pass the New, Zadroga Bill should be applauded. His use of Social Media to bring national attention to the situation WTC workers were facing had a large impact on the final passage of the bill. Thank You. I can't say enough about how great the firm of Barasch & McGarry have been in fighting for all those who were involved and injured in any way at the World Trade Center on that horrific day and all the days to follow. They fought to get the benefits for everyone so that they could put their lives back together as best as possible. If it weren't for all their hard work many people would not be able to get the help they so desperately need. I wish to thank the whole team for working night and day to get us the award and then to transfer it to our account. We have to say on a scale of 1-10 you guys are about a 15. We have never worked with a more professional group of people in our respective careers. Thank you Mike-My wife and I are grateful to you and your staff for offering us this opportunity to have our wills done. It was a pleasure to work with Lorena and we are also so appreciative of the time you personally spent with us sharing your knowledge and information that can benefit us today and in the future. You are truly part of the FDNY Family! Again we are very grateful for your time and attention to us and the FDNY! Be well, stay safe. I found the lawyers and paralegals to be very understanding, and ready to help. I certainly got what I was entitled to, and as soon as it could be accomplished. Very polite and efficient! Michael and his team are truly helping out WTC first responders like nobody else. Thank you for all your hard work. To each and everyone on staff at Barasch & McGarry THANK YOU for advocating and fighting for us all, victims and families. To this day, images of the tragedy remain clear in my memory, the loss of so many who turned out with us on our EMS runs still stirs up deep emotions. Your firm has always been compassionate, empathetic and thankful of our rescue efforts and work related to 9/11. Very professional, always keeping us informed and updated. I thank you and Barasch, McGarry Salzman and Penson team for your tireless effort on behalf of all 9-11 WTC responders, civilians and victims. I personally called numerous elected officials to urge them to support the Bill that provides health care, etc. to the many, many people that continue to experience devastating medical, psychological and physical conditions of which I am one. I feel without your input and drive for this worthy Bill it would have never come to fruition. I thank you again for all you do. An incredibly professional law firm that gets results. They are very accessible and quick to address any and all questions or concerns. I am very thankful for all that Mike and his firm has done for me and my family. The finest law firm in NY representing NY's Finest. I am writing this thank you letter to your firm as I very much appreciate all your hard work and you continuing efforts in making sure that the New York City Firemen and others are compensated for their injuries and illnesses in the past 14 years. On September 11, 2001 we lost family and friends as a result of terrorists. We vowed to recover all those lost at the site and unfortunately more rescuers are sick and some have passed away due to illness as a result of this attack at the World Trade Center. I am very fortunate to have a minor illness compared to others. Though I like some, lost a family member, my brother in law, a NYPD Emergency Service Police Officer was killed that day. It’s a day we will never forget. Again, thank you for your continued hard work. I am writing to express my sincere appreciation of you and the firm’s effort to secure my award from the Victims Compensation Fund. I will always use the firm in appropriate legal matters and will strongly recommend the firm to others for same. Again, many thanks for the work you and the firm did on my behalf. Your staff was very knowledgeable and helpful for the entire process. They were able to answer all my questions in a very timely manner. Thank you for all that your firm is doing to help out the people that were most affected on 9/11. I'll be spreading the word. Thanks again. From day one I was treated with respect. Everyone at the firm helped me every step of the way with my Zadroga Lawsuit. Anytime I had a question they were there to answer it and Michael Barasch even gave me his number if I had an issue. I would recommend them to anyone. Absolutely the best. Very personable, caring and professional. Incredibly efficient and detail oriented. I highly recommend Barasch & McGarry to any disabled WTC volunteers and first responders. Words cannot express the gratitude and respect I have for this firm. My father is ill, and Barasch & McGarry worked quickly and compassionately with my father. They were able to get him a more than decent award, to say the least. We have dealt with several firms over the years for various issues. Its too bad there aren't more stars because they deserve more than 5 STARS. Thank you Barasch Mcgarry Salzman & Penson.!!! I would like to Thank Barasch & McGarry Law Firm for representing me during my Zadroga Bill Case for the work I have done at the WTC as a firefighter immediately after the collapse of the Towers. Over the years they have answered countless questions concerning my case including the paperwork in adding cancer I was diagnosed with after my initial filing. My recent settlement on my case was fair and what was expected as explained by the firm. Though I did not talk to Mr Barasch at all, I dealt with my lawyer rep Mr Lee London, who was very helpful in explaining my case items. I would like to add that if and when your settlements get approved, meet your representative face to face at the Park Place office. There ,Mr Barasch explained to me my legal rights should I incur another WTC disease now that my case has been settled. He also explained to what rights & law case my wife and Family have if I should die from my WTC diseases over the next few years. There are a few items that were discussed post-settlement that I was unaware about and Mr Barasch made it clear what they are. A trip into the city well worth its time. Thank You Mr Michael Barasch and Mr Lee London. What a great experience it was having Barasch & McGarry Salzman& Pension represent me through this case. They were very professional ,polite and concerned about my case. Always available to speak to. The entire staff was wonderful and I would recommend them to anyone. Honest and Professional service. Highly recommended. Thank You. This letter is address to Barasch & McGarry Lawyers for first responders, and those Volunteers that came after to help at “Ground Zero” and facilities in the recovery task. I want it known to this Law Firm, my deep appreciation of three individuals of your law firm, Erick Ramos eligibility Manager, Bryan Calamaras Compensation Manager and especially James Steiner who I was privilege to have first hand assistance from him in all the correspondents and forms needed for a blessed result. In my heart, I know that whoever calls this Law Firm for Legal representation, that James Steiner picks up the phone. I recently received my VCF payment check. I know a lot of people in your office made this possible with their hard work. Please let them know how much they have helped my family. My thoughts will always be with the hard working people of your firm who made this possible. Once again thank you so much for all your hard work and dedication for the hard working people that gave their all at ground zero. Very professional , took care of all my concerns,answered my questions very quickly, kept on top of my paperwork, did all the processing of paperwork for me, very glad to know they had my well being the main point of the case. Highly recommend their entire staff. Michael Barasch even called me after I received my settlement to ask how their firm did in Handling my case. Thank you and your entire staff for all your hard work and very timely and efficiently keeping me informed about any developments. Thank you Doug Mandelkow for overseeing my file. I am very thankful your firm was recommended to me. I believe I was the first seriously injured 9/11 victim to contact Barasch Mc Garry regarding the original Victims Compensation Fund. I can therefore vouch that Michael Barasch, his lawyers and staff, since DAY ONE, have been very professional, thorough and compassionate in advocating for my case. For my fellow 9/11 victims, as my health conditions developed, I had at least as many health problems and injuries following my original settlement, as I did prior to it. I therefore urge those who may have been injured to keep current with their VVTC medicals. If a problem is discovered, don't hesitate to contact the law offices of Barasch Mc Garry. I assure you that your case will be handled with great sensitivity and professionalism. You owe it to y our family to make certain your illness to cared for under the provisions of the Zadroga Act. The cost of cancer medications alone could bankrupt your family. Do the right thing! Excellent job. Pretty fast responses to inquiries. Pleasant and helpful. Constantly keep you in the loop with info on your claim status. Highly recommend. This morning completed, for now, my contact with the law office. I could not make even one suggestion on making the process better. It was an honor shaking the hand of Michael Barasch for being my advocate. I would not hesitate turning to this office for advice or help in the future if needed. I recently received my settlement from the victims compensation fund. I was very happy with the law firm of the Barasch & McGarry. They were very professional easy to work with, quick to respond to my inquiries. I will definitely use them in the future for any other legal needs I may have. God bless all the first responders. I can not say thank you enough, to appreciate the dedication of all the staff members at: Barasch Mcgarry Salzman & Penson. They produce results, are attentive to any question and concern regarding your WTC case. I'm very grateful to Mr. Michael A. Barrasch, for calling me back when i needed answers, and Ms. Mariya Atanasova for helping me with my case. thank you so much. I want to Thank everyone that I had the pleasure of speaking to @ the firm over the last couple of years, Everyone was always courteous, caring & professional. I especially want to thank Laura DeFrancisci for all of her hard work as my compensation case manager. I look forward to speaking to Laura as I have an Economic loss claim pending & know that Laura & the entire firm will be doing their best so we will have as successful of an outcome as we did on the first part of my claim. I also want to Thank Michael Barasch for his tireless efforts to help push Congress to extend the Zadroga Health & Compensation Reauthorization Act. Thank You all for everything. Many thanks to the entire team at Barasch, McGarry Salman and Penson for their work on my behalf in processing my VCF claim. Special thanks to the professionalism of Jennifer and Laura who kept in touch during the entire process and were never too busy to answer questions or provide expert advice. Thanks to the entire firm for true quality service. Absolutely forthcoming and detailed opinions; responsive, attentive and personable. Great professionals to have on your side. I have posted my review of your firm, and every word is meant, and are from the bottom of my heart. You guys are great, and true heroes to us first responders. Your firm will always be the one I mention whenever one is needed by my brothers. I received the final payment this morning, and I want to thank you for your efforts, both in front and behind the scenes, with the VCF. I have recommended your firm to many people, current and former police officers, who are now getting ill, or did not understand what the VCF was, or ignored it, because of career aspirations at the NYPD. I told them of your hard work, and how without it, we will not be where we are today. I look forward to doing the best with what was awarded to me, especially for my two daughters whose futures concern me the most in this volatile world. Again, thank you for all you have done. On behalf of myself, all first responders and the civilians of impacted from Sept. 11th, thank you for all your dedicated & diligent efforts over the last number of years in working on helping us get compensation for our illness. I hope it brings comfort to the staff knowing their hard work has helped to ease the burden and give so many of us a sense of security for our future, the future of our children and the future of our grandchildren. “FDNY” STILL THE GREATEST JOB ON EARTH!!! As a First Responder Police Officer to ground zero from NJ finding the right firm seemed insurmountable. I feel very blessed that the firm of Barasch & McGarry represented me through this entire process. I hope that my conditions do not worsen or increase however, I know that whatever happens to me I can count on this firm to represent my best interests. 41 years of Law Enforcement I think I know something about lawyers My personal thanks to all of you! Barasch & McGarry puts the client and their needs first. Always. Their staff is knowledgeable and professional. The attorneys are accessible and responsive and take the time to explain what could be dense information for those not familiar with it. In my experience, I have always been impressed with their level of service and attention and I've never waited for a call back. I would, and do, highly recommend this practice. Congrats Saint Michael ! Grace & Gratitude. I want to personally thank the firm for their hard work at both the forefront, and in the offices of the VCF in Washington. Without the firm's non-stop commitment to the VCF, I wonder where many of us first responders would be today. I truly believe that the efforts of the firm was never a monetary pursuit, as you may know, other firms have been accused of, but instead, a pursuit for the well-being of every first responder on 9/11. As many of my former colleagues are now experiencing their own fight with the health issues associated with 9/11, I have recommended only one firm, Barasch & McGarry, to lead them into the fight they will soon experience physically. Thank you for all you have done for me and my family, and for all first responders you will continue to help now and in the future. The very best to all! Michael – this is a wonderful recognition of your creativity, ingenuity and commitment. Congratulations!! Congratulations on your well-deserved honor relating to the work you have and continue to do on behalf of so many who served. It was good to see you receiving such notoriety. Congratulations on your tireless work to secure permanent Zadroga Act legislation. JOB WELL DONE! It is wonderful that you are being honored; thank you for all your hard work. Thanks Mike for all your hard work. Thank you very much for all you have done and continue to do. Congratulations. So well deserved and again thank you so very much. Congratulations.. a well done job hard earned. Thank you Michael for all you do and have always done for the first responders. So very proud of you! Congratulations! So grateful to have everyone at Barasch & McGarry representing me. You have gone above and beyond for each and every one of your clients, including me. I am truly blessed to have you in my life. Michael Barasch and his firm have had a profound and wonderful impact on my life. They genuinely cares about their clients and provide outstanding legal services. The award they help me obtain allowed my family and I to get through the hard times and maintain our dignity. God bless them. I received a letter from your firm on some very important and significant changes to the Zadoga Bill, in which I commend You and Your firm for Your relentless pursuit in reassuring justice will not abandon those of us who received a Death Sentence on 9/11/01. With your help, I received an award that will reassure me that my family will be taken care of...And I will never forget you for what you have done for me. Thank you again and always for all you've done. God will be good to you, and all others like you. In life, there are The Few, the Many and the Rare...In my eyes, you are on the Endangered Species List. They don't make Men like you anymore...And they never will. That mold was broken a long time ago. My name is Rev. Winston M. Clarke, I want to commend attorneys Barash and McGarry for their professionalism and concern in the way they are handling my WTC case. They keep me up to date on all aspects of my case. I highly recommend them if you need an excellent law firm. May God continue to bless them. Barasch & McGarry truly cares about its clients. Michael Barasch is a kind, attentive, and thoughtful person who puts his heart and soul into everything he does. The staff is punctual, detail-oriented, passionate, and organized. Everyone there is friendly and makes you feel warm and welcome as soon as you start working with them. It's a firm that won't stop until you get you the justice you deserve! Met with Michael Barasch regarding 9/11. Great person, very helpful. Great law firm, highly recommend! I am a client at your Law firm and I usually don't write letters, however I would like to write a letter of recommendation on behalf of Mr. Brian Calamaras. I want to say what it is a pleasure dealing with him. Mr. Brian Calamaras is extremely professional, kind, polite, and patient with all my WTC 911 issues and concerns. Every time I call him with a question he is so efficient and knows the answers about my case without even looking at my file. So often people complain about things and I feel the need to write something good. I am so happy to have your law firm representing me. I will always recommend your law firm because of great staff members such as Mr. Brian Calamaras. I am a First Responder and became ill as a result of toxic exposure. The Law Firm Did A Good Job representing me. I talked to Geico and they verified that the $1,000,000 umbrella is above and beyond the $300,000 bodily injury liability. I also upgraded, for a nominal increase, to the SUM for the $300,000 on the auto policy. Thanks again for the advice and work you and the firm deliver to all of our members. I am happy we got to speak today. Mike as I said on the phone, every time I call or stop in the office, everyone is always welcoming , inviting and very kind. For the last year, or so, I primarily have been communicating with Francesca, and she has been great. Always a pleasure to speak to. Your staff has really made me feel that you care for us. Mike, Thanks for everything you do for me, and the FDNY. Again, first and foremost, I would like to thank you and your entire staff for all the good work you do for all of my brothers and friends in the FDNY. Sally and I greatly appreciate the professionalism and respect shown this past Friday in completing the paperwork regarding our wills. Hope you had an enjoyable holiday season. Thank you for your letter, it was precise, informative and upbeat. When one experiences a tragedy, such as 9/11, it requires all one has in order to cope with the difficulties that follow. Even when it looked as though all hope was lost with my case, Barasch & McGarry continued fighting and did so fiercely. Despite what seemed like an endless stream of obstacles, they rallied again and again, in the end gaining the victory. With gratitude, I thank each of you for the fine job you have done, on not only my behalf, but for all of us so adversely affected by this event. I wish to take the opportunity to write you on the Anniversary of a day in which we fell victim to the a horrific terrorist act, but it was also a day in which we saw many people, both civilian and uniformed, carry out heroic acts of helping their fellow citizens. Many lost their lives and others have had their lives altered permanently. I believe that the work you do on behalf of the families affected is laudable, which is the reason why I am sending you this message. Yesterday I had the opportunity to visit the Observation Deck of the new World Trade Center and felt the power of our resilience as a country and ability to recover from such a devastating blow. Just wanted to compliment a few of your staff. I am thrilled with the recent interactions I've had with some of your staff. Nancy Tang has been amazingly thorough on follow-up. She is also savvy and compassionate. Lee London, who has inherited my case, was very encouraging, clear, and patient. Max Bushuyev was extremely and overwhelmingly detailed and insightful about the "conditions" issues and took the time to listen to my summary of the situation. I am thrilled to work with all of you. Thank you all for taking the time to understand my situation. Thank you for the great news !!!!!!! Now I have a gift for Mrs. M on our 26th Wedding Anniversary. I know how hard all of you and your staff have worked on our behalf and we thank you from the bottom of our broken hearts. Wow, I won't bother you anymore today, there seems to be a little water building up in my eyes, it's hard to see the screen! R.; L.; H.; & K. ? I am so grateful for you fighting for us. I can't believe I never told you that I also had prostate cancer. Being a psychologist I can't believe the effect this has had on my not reporting everything. When my surgeon removed my bladder, he also removed my prostate and the pathology report stated that it also was cancerous. I am a client at your Law firm and I usually don't write letters, however I would like to write a letter of recognition on behalf of Mr. Brian Calamaras. I want to say that it is a pleasure dealing with him. So often people complain about things and I felt the need to write something good. I am so happy to have your law firm representing me. I will always recommend your law firm because of great staff members such as Mr. Brian Calamaras. Thank you for the excellent service that Michael, yourself and the rest of the staff provided to me and my wife on our visit last week. I would certainly recommend your office to anyone I know that is looking for a personal injury law firm. As requested I completed the on line review of the firm on Lawyers.com and gave a very favorable review. Thanks again and thank Michael for me. I just want to extend by deepest heartfelt appreciation for all you and your firm have done for me. I can now truly say You saved my life, for your hard work will have a major impact in paying my insurmountable debt that's been bleeding me dry for almost a decade. The compensation award …has set me free because I have not only been deemed “Totally and Completely Disabled”, I am not permitted to hold any type of employment whatsoever, resulting in my debts continuing to mount. Again, I am so overwhelmed, my mind is racing. Regardless of the fact that I'm constantly told that my medical condition is hopeless...hope is all I have left to cling to. Hope is a good thing, For regardless of how bad the odds have been against me, hope is the train of thought that has given me some form of acceptance and inner peace, however slight. Some is better than none. Again I Thank You with Every Fiber of My Being and Every Beat of My Heart...You Will Forever Have My Deepest Respect And Gratitude. Michael Barasch and his firm have had a profound and wonderful impact on my life. They genuinely care about their clients and provide outstanding legal services. The award they helped me obtain allowed my family and I to get through the hard times and maintain our dignity. God bless them. This is to express my thanks and gratitude to you both on behalf of our family. Bruce, I am so grateful to you for your kindness, compassion and expertise in deftly handling my issue. The night of my frightening assault, followed by the mystifying summons, clearly defined the phrase "adding insult to injury." What an immeasurably frightening experience for me. Thank you so much, Bruce, for making the law seem right and just again. Thank you for making this random act of violence go away with incredible skill and grace. Michael, Barry was catastrophically struck by the cab within two weeks of my incident. I was so anxious for Barry's life that I spent over five weeks in the hospital keeping vigil and completely neglecting my own troubles. Michael, I am so grateful you've taken on Barry's case. You were so wonderful to come see Barry at the sub-acute rehab center. You were so patient and kind to put up with my discovery efforts with regard to Barry's tragedy, and then, amazingly, to offer your services for me as well. In the face of all this, your compassion brought tears to my eyes. You guys are the good guys. You guys are the real thing. If these terrible experiences show us a glimpse of what is wrong in the world, Barasch & McGarry shows us what is right. Your history with 911 precedes you, and will forever distinguish you as the heroes behind the heroes. And for me, personally and most especially so, as you help right the wrong for Barry in the coming months. How do we begin to thank you for all you have done for us during the past two years? I don’t think words exist that can truly express our appreciation and gratitude for all you did for us. When we embarked on this journey, we expected to deal with arrogant, uncaring and know-it-all attorneys. We quickly found out how wrong we were. You and your staff are the most caring, compassionate and professional people we have ever dealt with. You have proved over and over again how much you care for your clients, not only as clients but as people, and not only for their financial security, but also for their mental and emotional well being. We are truly grateful for your skill and expertise on our behalf. The time, effort, persistence, commitment and willingness to go the extra mile (Workers Compensation settlement and MSA) demonstrated how much you cared about us. The settlement you negotiated far exceeded our farthest dreams. Thank you for the advice, support and friendship you extended to us during the past two years. Michael, thank you also for taking me under your wing those first few months after Bob’s accident. Your patience in helping me understand the legal system and taking off my plate all the dealings with the insurance companies allowed me to focus on Bob’s recovery. I want you to realize how much I appreciate your many calls to me inquiring on how Matthew and I were doing. We know that you have said that you are our attorneys for life, but more importantly, you will be our friends for life. I am writing to express my deepest thanks for the work your law firm performed on my behalf. I am very thankful, not only for the positive outcome, but also for making me realize that there is a law firm that is truly concerned and understands the situations NYC Firefighters encounter on a daily basis. The caring, professional and knowledgeable staff made a difficult situation tolerable. I suffered a career-ending injury in 2004. Your firm, and in particular Barry Salzman, worked tirelessly in an effort to recover compensation for me. After a very long time, which included court appearances by Mr. Salzman, numerous phone calls and sifting through much paperwork, the case is finally at a close, due in large part to the work of Mr. Salzman. He became not only my attorney but an understanding friend. I will never forget what your firm and Mr. Salzman have done for me. In addition, I would be remiss if I did not also thank Angela Sozio, Mr. Salzman's secretary. She was always there to handle my paperwork and phone calls. She is also to be commended. My thanks to all for going "above and beyond the call of duty."